Ms. Sunita Shakya has been coordinating the operations at Kathmandu Jazz Conversatory (KJC) since June 2009 till date. 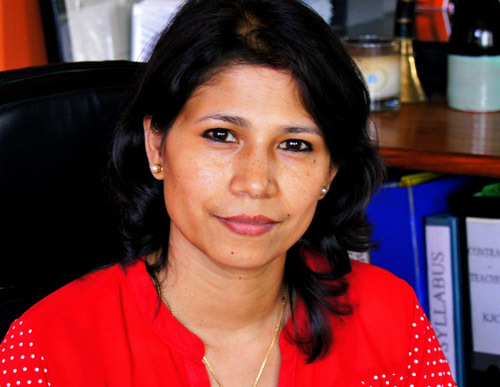 Graduated in Business Science at Tribhuvan University, she has a vast experience in the field of organizational management working for reputed organizations such as Lotus Holdings and its sister companies, she has been a freelancer to organizations like ILO Nepal, UNAIDS and ENPHO. Her experience in organizational management skill along with training and monitoring, event management, marketing and project handling has proven her to be a key member at KJC, where she is in charge of administration, human resources, monitoring different projects and coordinating overall management.